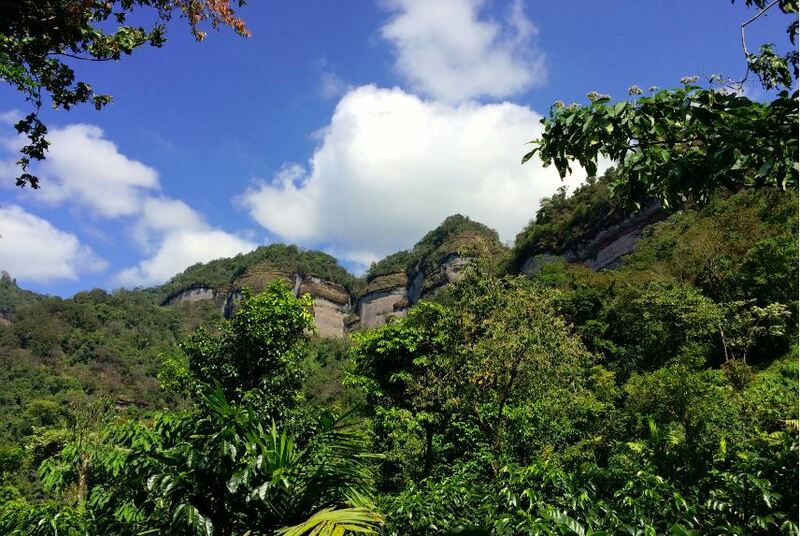 Coffee farming is often thought of as “man’s work,” no doubt in some part because it immediately brings to mind a vision of a Juan Valdéz–esque cafetero and his donkey carrying cherry down the side of a mountain. True, farming in general is often thought to be difficult, sometimes dangerous work that demands tremendous strength and endurance—but then again, all of those words also describe motherhood, so maybe it’s time we reconsider our ideas about gender and coffee farming. 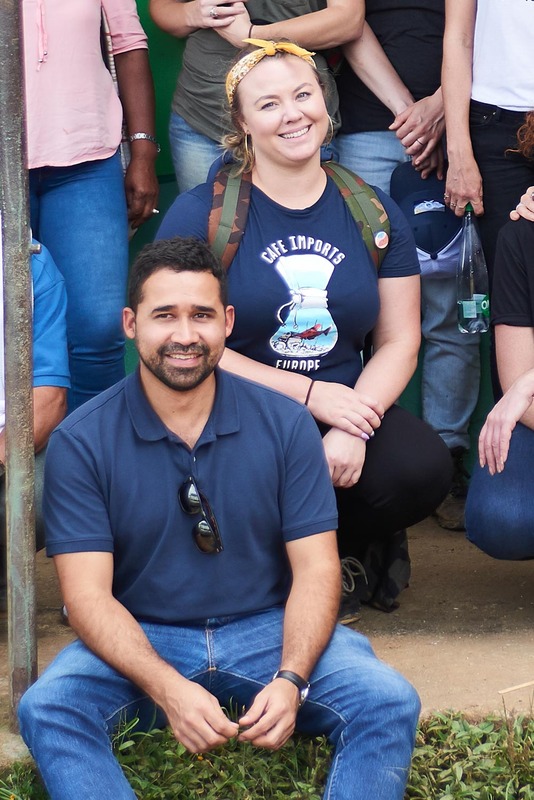 Six years ago, Cafe Imports bought its first lot of coffee produced by women, which inspired the creation of a Women Coffee Producers program to raise awareness of gender inequity and inequality issues in coffee-producing countries, and to financially empower women growers through our sourcing and sales efforts. 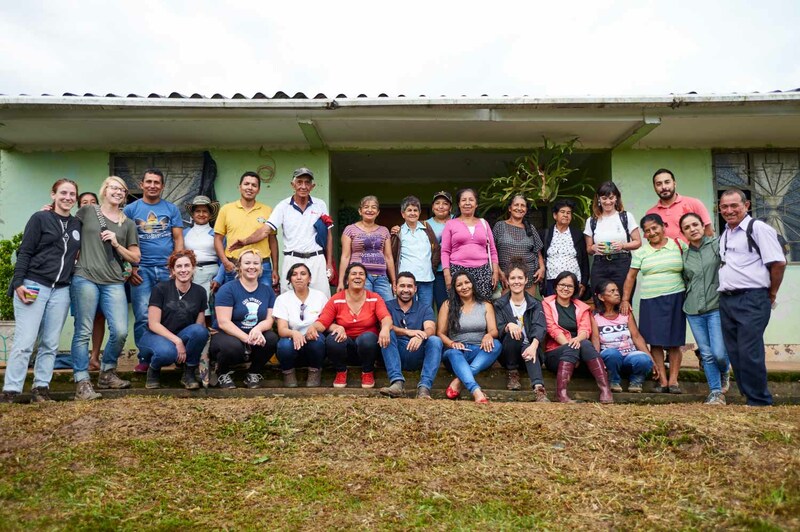 For this project, we source coffees directly from women in associations and cooperatives, paying them a gender-equity premium on top of the quality-based initial price of their coffee. We realize gender inequity exists in most—probably all—industries worldwide, but our interests and business are with coffee, and as we’ve become increasingly aware of the disparities along the supply chain, we’ve become more and more committed to contributing to positive change wherever and however we can. 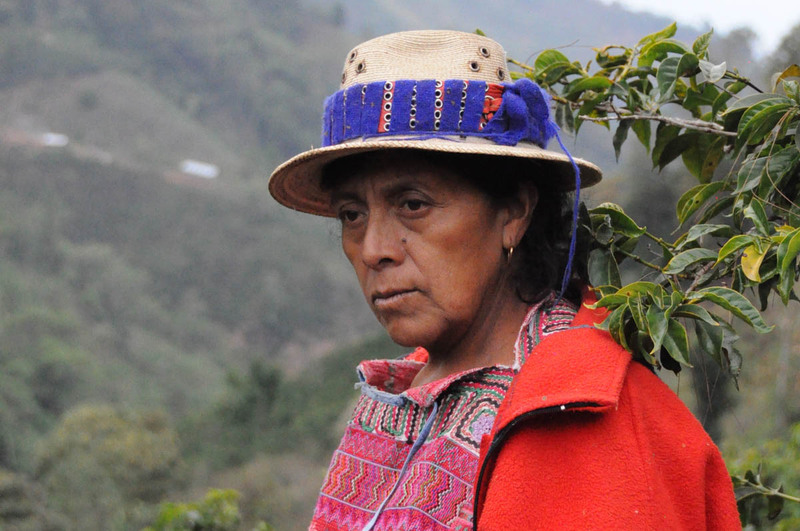 By sourcing coffees grown by women producers in this way, we seek to financially empower them within their families, communities, and within the industry, we hope to make positive strides toward increasing women’s visibility within the supply chain, as well as to assist in protecting the sustainability of their very necessary contributions. Reports have claimed that as much as 70 percent of labor on coffee farms—planting, picking, processing, sorting—is done by women, though women’s legal representation as land owners and association members is distinctly lower, in most places it tops out at 20 percent, though in other countries it can be as little as 5 percent. (In many countries, even in 2018, land ownership is not transferred to a wife after her husband dies, emigrates, or simply leaves home; same with on-paper membership in cooperatives, which is often registered in the husband’s name and frequently remains nontransferable). 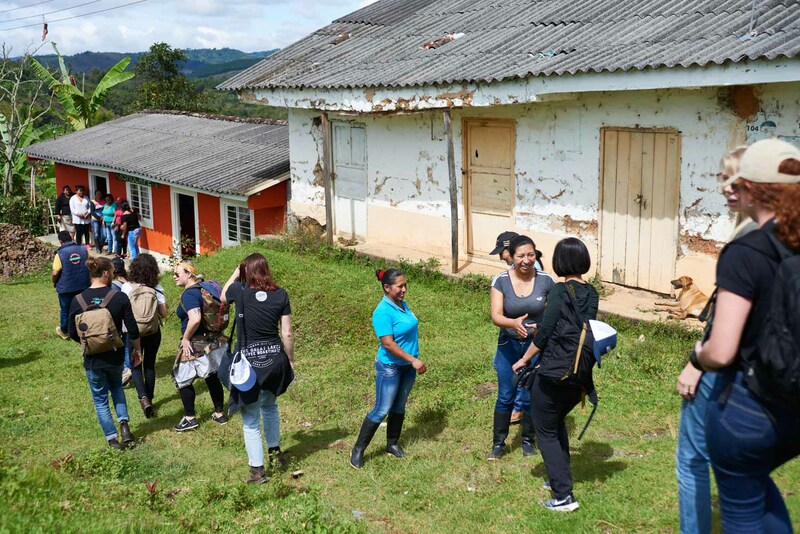 Roasters are also supportive of and excited about the program, and this year Cafe Imports hosted a Resource: Sourcing trip, hosting several women roasters on a visit to two groups from whom we buy WCP lots in Cauca, Colombia: ASMUCAFE and AMACA. Cafe Imports sales representative Kimiyo Heider cohosted the visit to Cauca with Luis and was moved to see the impact of the women growers meeting women roasters for the first time. “There was an older woman in AMACA who stood up and said, ‘This is incredible. I never in my lifetime thought I would be surrounded by the women I work with and the women who buy my coffee—roasters and café owners,’” Kimiyo said. As Piero and Luis continue to look for new producing partners and new sources of coffee, we hope to continue to expand this project to include other origins, other types of farmers (including possibly individual smallholders who are rewarded for high quality with microlot status), and more and more offerings from the intrepid and invested coffee women working so ceaselessly and hard around the world. 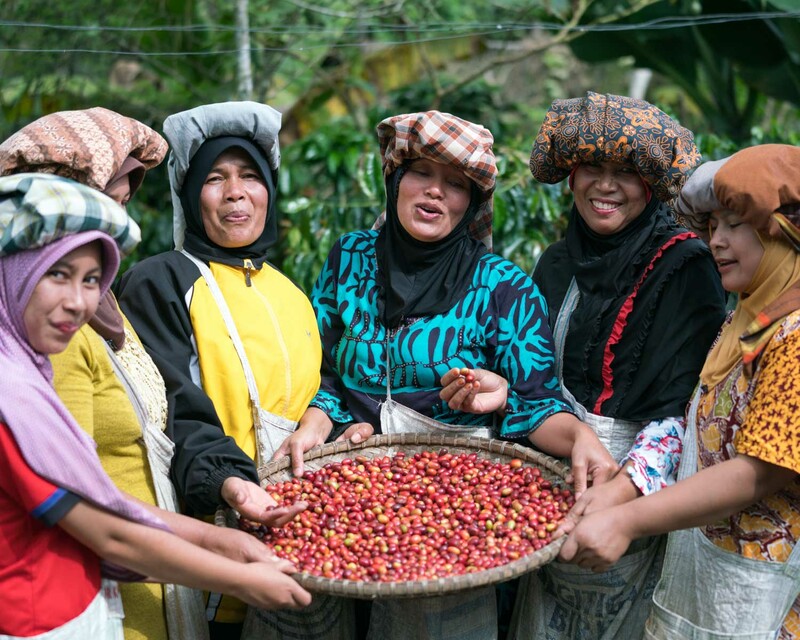 In brief, here is more information about the Women Coffee Producers with whom we are currently partnered—and we can’t wait to add even more innovative and dedicated women to this list. For more information about the Women Coffee Producers program and current offerings, visit www.cafeimports.com/womencoffeeproducers, or e-mail sales@cafeimports.com. ASPROCDEGUA (Asociación de Productores de Café Diferenciados y Especiales de Guatemala) is a relatively new organization of growers, most of whom own about 2 hectares of land or less and grow a variety of crops in addition to coffee. The women of the organization have just produced their first WCP lot during the 2018 harvest and will decide how best to apply the premium they receive for the coffee. 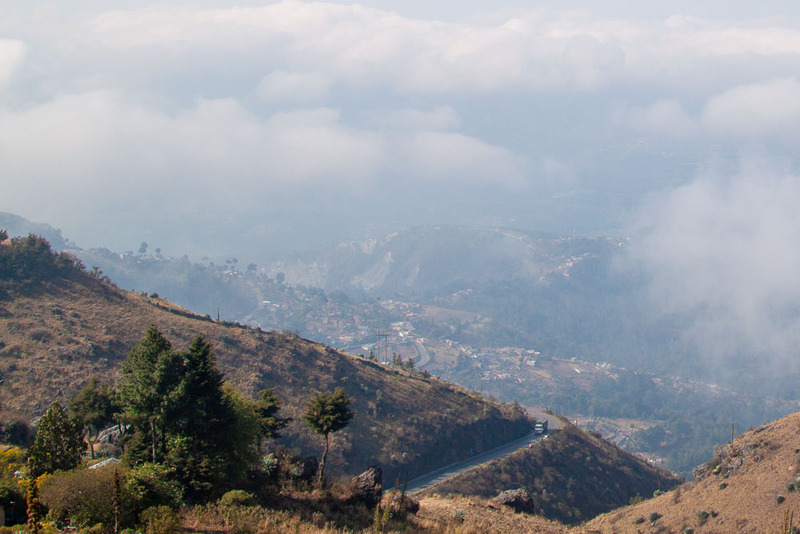 In the community of Concepción Huista, Huehuetenango, a group called Coordinadora de Organizaciones de Desarrollo de Concepción Huista, or CODECH, was among the first to grab our attention as a possible partner in the early stages of the Women Coffee Producers project. The organization was formed in 1998 and comprises 10 different member associations, the women of whom use the premium for their participating lots in order to pay for health-care programs and workshops specifically targeting the area’s high infant-mortality rate. GRAPOS (Grupo de Asesores de Producción Orgánica y Sustentable) in the southern Mexican state of Chiapas was formed in 2007 by a group of only 90 farmers, but today it has more than 3,200 producers affiliated—including a growing percentage of women. 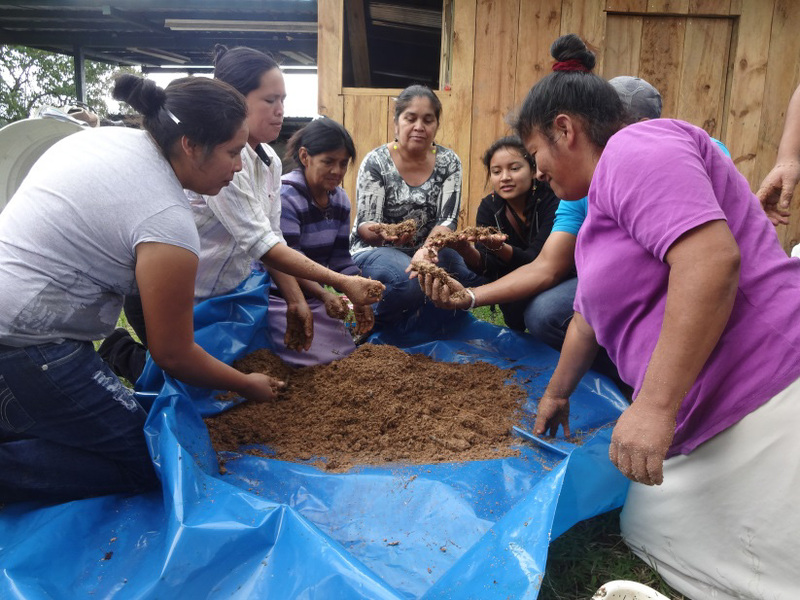 The women of the co-op who participate in the WCP program with Cafe Imports have used the premium they earn for their coffees in efforts to diversify their crops, planting corn, bananas, squash, cacao and more. They have also invested in textile production in order to have earned income all year round. In 2005, six women members of the CESMACH cooperative banded together in an effort to earn recognition within the organization, which only allowed men to hold the title of “member” on paper, even after having emigrated in search of work and leaving their wives behind to tend to the farm. Within a year, 23 women began the process of transferring their membership and land ownership into their name; today there are more than 200 women members, and they use their WCP premium for initiatives like cervical-cancer screening and prevention, and building vegetable gardens for the women and their families. Ipak Bensu is the women’s group from within the Sumatran co-op of Kopepi Ketiara, located in the Gayo Highlands, where the average farmer owns about 1.2 hectares of land and grows a variety of different crops under a cover of shade. Ipak Bensu uses its WCP premium in order to reinvest in their farms for the future, as well as to make strides toward greater access to health care and education for their families. 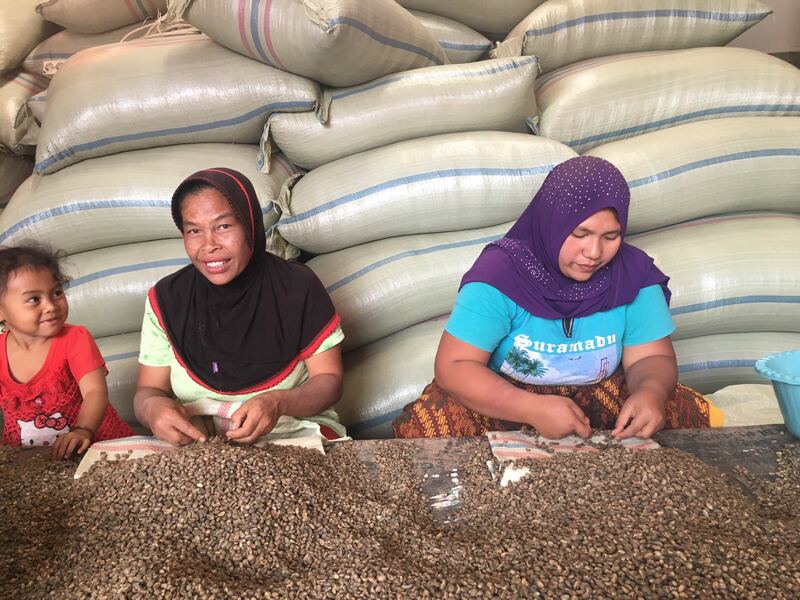 About 300 women coffee producers are members of KSU Item Reje Gayo in Central Aceh, Sumatra, most of whom grow coffee on garden-size plots alongside fruit, cinnamon, avocado, bananas and more. 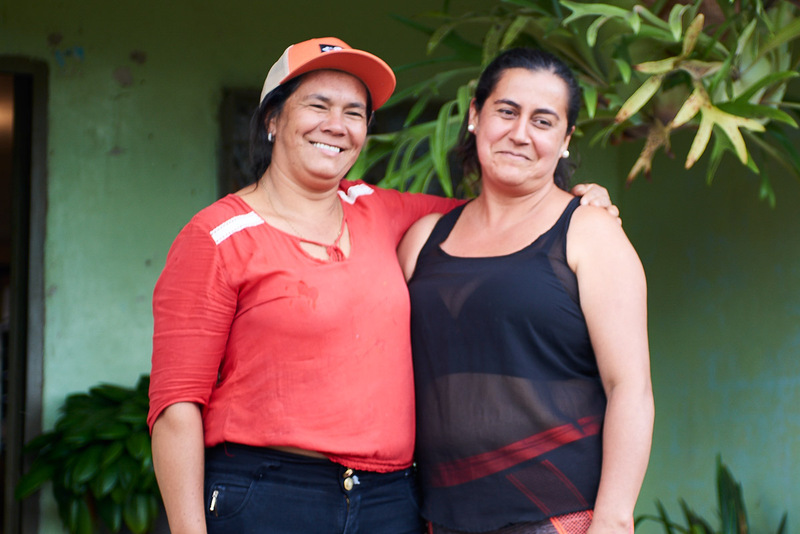 The premium for Reje Gayo’s Women Coffee Producer lots goes toward farm reinvestment such as buying organic fertilizers, shade trees, coffee seeds, and training programs for the women. 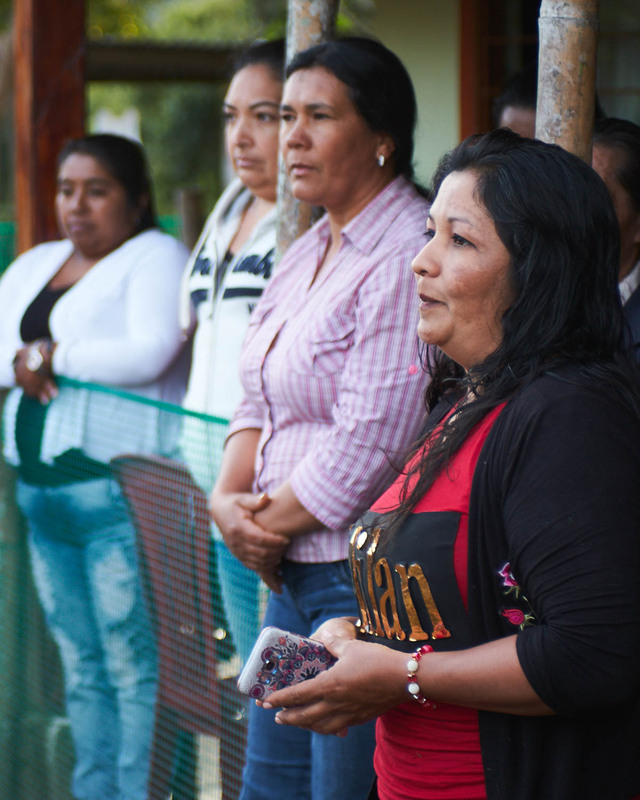 Cooperativa RAOS is a cooperative of nearly 300 farmers, 77 of whom are women whose lots are separated into a Women Coffee Producers offering. 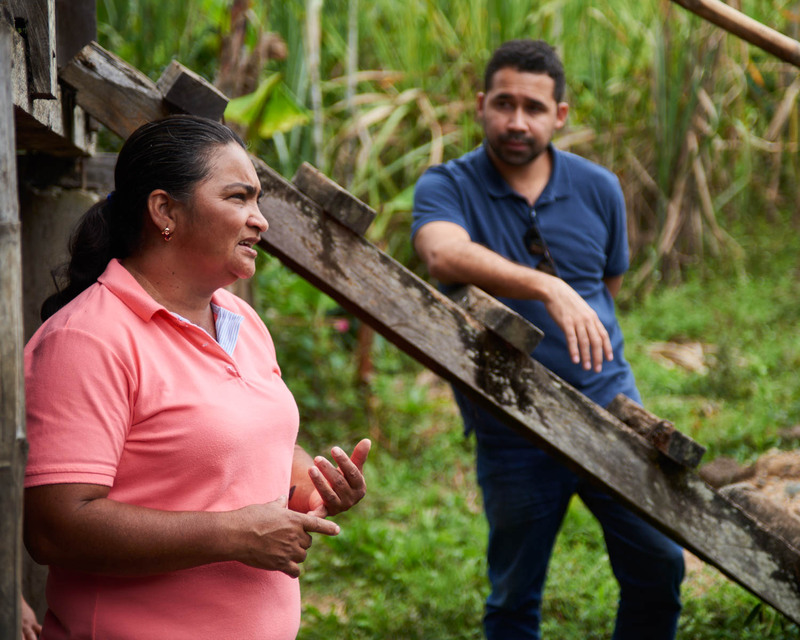 RAOS’s leadership is determined to increase gender equity among its members, specifically regarding legal complications related to gender-based restrictions on land ownership in Honduras. The organization holds regular gender assemblies to give air to and find solutions for gender inequity its members face.